(HONGSEONG=Yonhap News) Two companies from China will invest USD 10 million to build and extend plants in Cheonan, Chungcheongnam-do. Chungnam-do said on November 26 that Yang Seung-jo, Governor of the Province, signed a joint MOU with Junnan Energy, Changlong, Fine Energy and Juhwanbio.Cell on investments in the region. Junnan Energy will jointly invest USD 5 million with Fine Energy to build a manufacturing plant for polysilicon for solar cells on 12,000 square meter site in Cheonan Foreign Investment Zone by 2023. 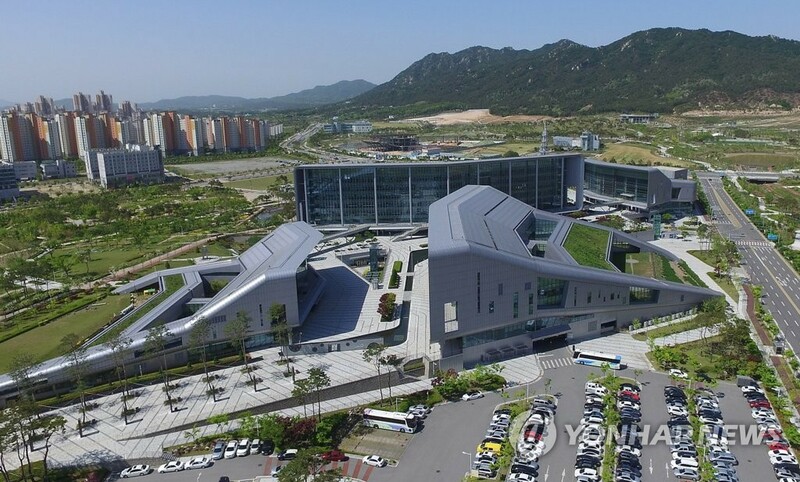 Changlong, a global pharmaceutical company will invest USD 5 million to build a detergent manufacturing facility on a plot of 5,000 square meters in Cheonan Foreign Investment Zone through collaboration and technology cooperation with Juhwanbio.Cell. Once the investment is actually made, it will generate KRW 350 billion of sales, create 135 jobs and induce KRW 1.1 trillion of added value. "We successfully attracted investments from four Chinese firms even in difficult situations such as THAAD deployment," said an official from the Province. "The Province will focus on the administrative efforts to add more investments from over two Chinese companies taking the opportunity of the trade war between the U.S. and China."